It wasn't so long ago that Instagram was the start-up being courted by the web's big boys, but now the shoe is on the other foot, with the video and photo-sharing app making an acquisition of its own. The Facebook-owned company has has moved to purchase the video editing application Luma, for an undisclosed fee, presumably with the intention of integrating the tech into the Instagram app itself. Video on Instagram arrived in June to challenge Twitter's Vine, allowing users to upload filtered videos either as a single shot or as a montage of clips up to 15 seconds in length. 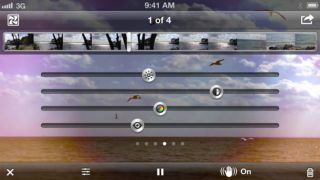 However, finely trimming the videos is difficult due to the lack of editing tools available within app. The Luma buyout will enable users to add a little more finesse to there creations. In a post on its official website the Luma team revealed it would be removing the app from the App Store, but would continue to support exiting users until December 31 this year. The company wrote: "Eighteen months ago, we embarked on a mission to make capturing and sharing beautiful videos easy without expensive software or heavy equipment. By joining the exceptionally talented team at Instagram, we're taking another big step towards realising that mission." TechCrunch, which broke the story on Friday, believes Instagram is already using Luma's image stabilisation technology within its app. Instagram might be mounting a challenge, but Vine is still No.1, recent stats show.